This economically priced brush has white taklon bristles. A good basic brush in a large range of sizes to suit many applications. 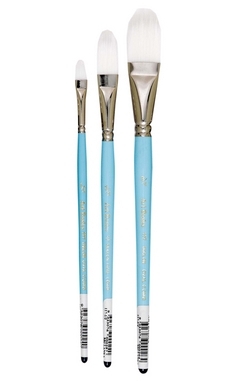 This economically priced brush has white taklon bristles with a blue handle. 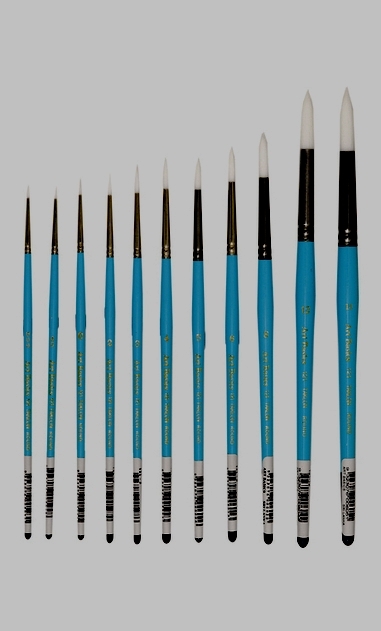 It is ideally suited for highlighting in oil colour, mixed media and graphic art applications. 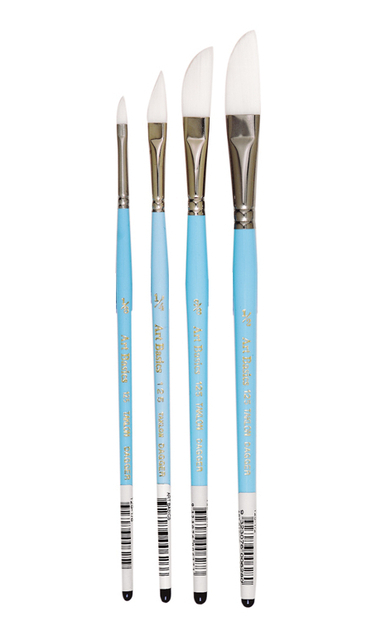 Used extensively by artists as a wash or brush for applying lacquers and varnishes. Often used as a glaze brush and to apply coats of varnish. 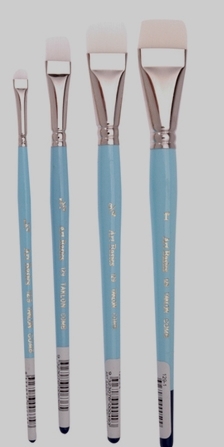 The long pointed white taklon enables the artist to achieve fine lines for detail work or broader lines with the larger sizes. The brush can also be used where sweeping applications or lining is required. 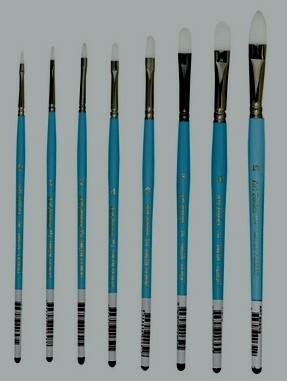 These brushes can also be used by water and oil artists who require a small fine rigger type brush. 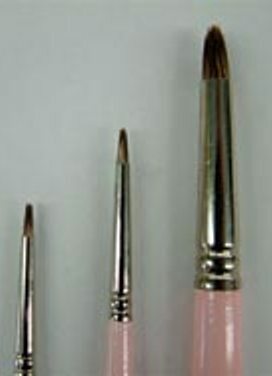 This brush can be seen as a cross between a round and a liner. 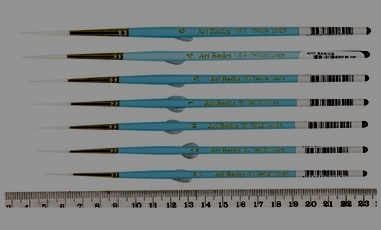 The pointed white taklon enables the artist to achieve fine lines for detail work or broader lines with the larger sizes. 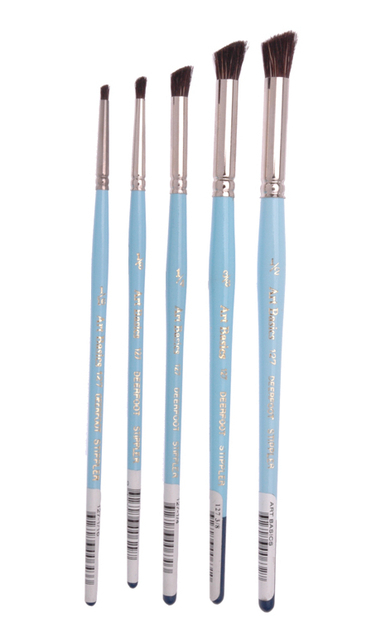 Can also be used by water and oil artists who require a fine rigger type brush for precise line work. Fine pony hair. Provides softness and controlled spring needed for subtle blending and graduations. Black goat hair, which makes it an affordable brush that is soft and has great water holding ability. For washes and thinned mediums. Often used to soften colour areas. This unusual brush has a filbert ''Rake'' shape when wet, perfect for creating interesting organic line work and textures like grass, fur, hair or wood grain. 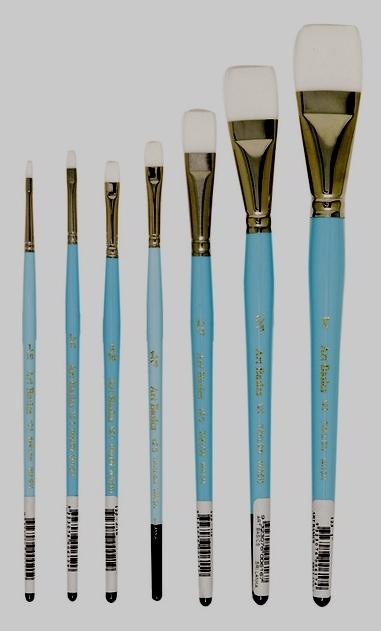 This brush was specifically designed for special effects in many applications. Short handle. 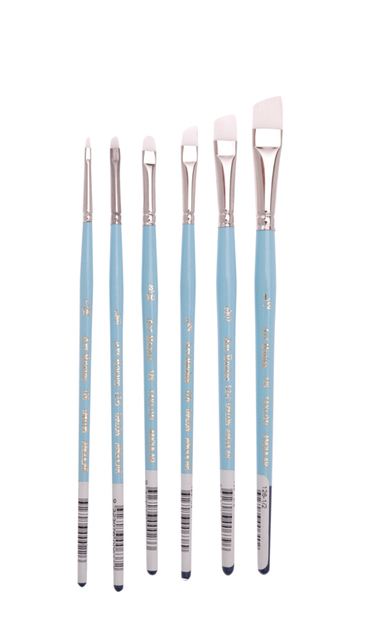 Specifically designed lining tool which is ideal for striping and fine line detail work. It is used extensively in the art markets for special effects and as a detail brush for lining applications with most mediums. 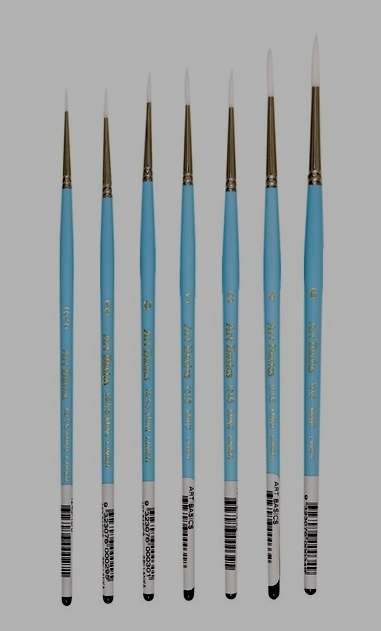 Specifically designed lining tool which is ideal for striping and fine line detail work. It is used extensively in the art and craft markets for special effects and as a detail brush for lining applications with most mediums. 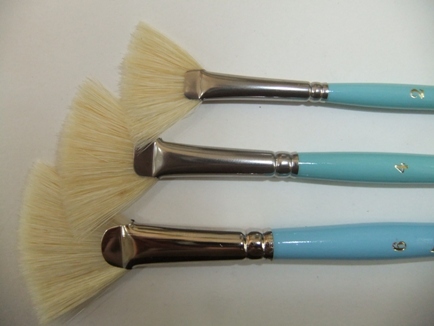 This deerfoot brush is made with a badger hair mix, making it very stiff and long lasting. 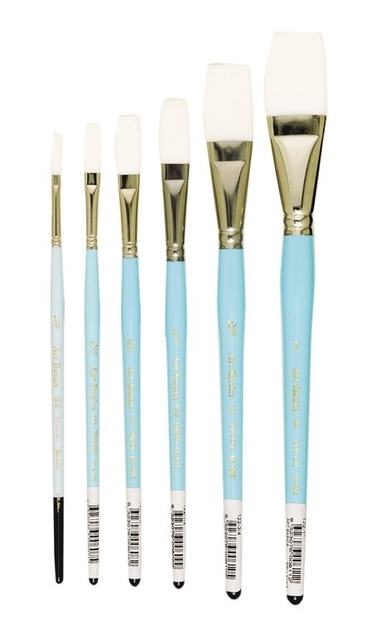 This brush is ideal for dry shading application, scumbling effects and for special effects (textured areas) in more general painting applications. It is suited to watercolour, highlighting in oil colour, tole painting, mixed media and graphic art applications. 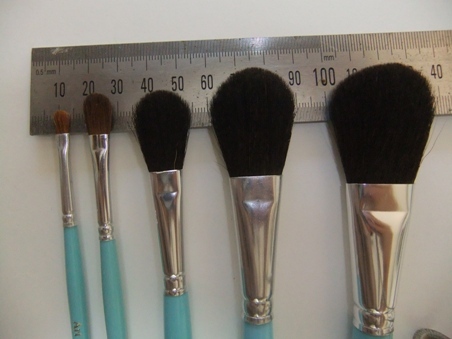 This brush was specifically designed for special effects in many applications. Ideal for foliage, grass, folk art and ceramic painting. The fibres have been split in the ferrule to give a rake like effect.